The new criteria for granting Cypriot citizenship with the Scheme for Naturalization of Investors in Cyprus by exception to foreigner investors were approved on 19th March 2014 by the Council of Ministers. The major changes are mentioned in criteria 8 where it is noted that the Council of Ministers has the right to decrease the amount of investment to €2,000,000 in the following criteria Investment in government bonds, Investment in real estate, developments and infrastructure, Investment in real estate, developments and infrastructure, Acquiring, incorporation or participation in Cypriot business or companies. Below you will see in details the new criteria for granting Cypriot citizenship. An individual from a non-EU country can obtain a Cyprus passport through a procedure called naturalization, based on his/her financial affairs and investments in Cyprus. Such procedure is made in accordance with Council of Ministers Decision dated 10.10.2011. 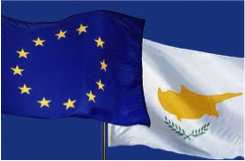 The Council of Ministers updated the conditions for naturalisation of investors in Cyprus by exception, on the basis of subsection (2) of section 111A of the Civil Registry of 2002-2013 on 19/03/2014. A non Cypriot citizen who meets one of the financial Criteria below, either personally or through a company/companies in which he/she participates as shareholder – prorata to his shareholding percentage, or as a high level Executive Member of a company/companies, which meets one of the financial Criteria below, will be eligible to obtain a Cypriot citizenship through Naturalisation by Exception. In case of a high level Executive Member of companies, he/she is eligible to apply, provided that the said member receives such remuneration in the said company/companies, that he/she generates tax revenues for the Republic of at least €100,000 for a period of three years and provided that this tax has already been paid or prepaid. The applicant should have made the required investments during the three years preceding the date of the application and maintain the said investment for a period of at least three years after the date of Naturalisation. The applicant must have purchased bonds issued by the Republic of Cyprus in an amount of at least €5,000,000 million. The applicant must have purchased financial assets of Cypriot companies or Cypriot Organisations (i.e. bonds / securities / debentures registered and issued in the Republic of Cyprus) of at least €5,000,000 million. 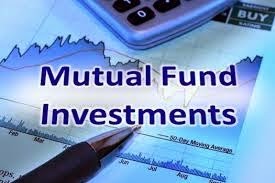 It is understood that the financial assets may be purchased either at the issuance or thereafter by the market. The applicant must have invested at least €5,000,000 in purchase or construction of real estates or other developments (residential or commercial developments, developments in tourism or other infrastructure projects). The applicant must have acquired, incorporated or participated in business or companies residing and operating within the Republic of Cyprus, amounted of at least €5,000,000. Such business or companies must have physical presence in Cyprus and employ at least five (5) Cypriot nationals. It is noted that this criteria also provides the compulsory conversion of deposits into shares. The applicant must have personal fixed term deposits for three years in Cypriot banks or deposits of privately owned companies or trusts (in which he/she is the beneficial owner) in the Republic of Cyprus of at least €5,000,000. The applicant must have made total investments amounting to at least €5,000,000 by combination of any of the above criteria. The applicant must have incurred an impairment in deposits amounting to at least €3,000,000. In the case where the applicant has incurred an impairment in his/her deposits under €3,000,000 he/she may apply having made an additional investment through the criteria 1 (Investment in government bonds), 2 (Investment in real estate, developments and infrastructure), 3 (Investment in real estate, developments and infrastructure), 4 (Acquiring, incorporation or participation in Cypriot business or companies), 5 (Deposits in Cypriot Banks) for the balance of the required amount of the said criterion. to €2,500,000 for investors who demonstrably participate in a collective investment scheme if the total investment is at least €12,500,000. to €2,000,000 for investors who demonstrably participate in a collective investment scheme if the total investment is more than €12,500,000. It is understood that the present provision (ii) will be valid until 1/6/2014. Additionally, it is noted that for the cases (i) and (ii) above, the investment for criteria 1 to 4 can be carried out through different seller/provider (physical or legal person). The applicant must have a clean criminal record. Furthermore, his/her name must not be included on the list of persons whose property is ordered to be frozen within the boundaries of the European Union. It is understood that the members of the same family, who submit independent applications as investors, can purchase collectively a residence, provided that the total amount of the residence covers the amount of €500,000 for each applicant. In the case where following a periodic inspection it has been ascertained that any condition is being circumvented, the naturalisation may be revoked. Certificate of Clean Criminal Record from the country of origin and the country of residence (if different). In case where the applicant is a high level executive member, additionally it is required to provide his/her employment contract and the Proceeds Certification from the Inland Revenue Department. Any other document may requested by the Ministry of Interior or the Ministry of Finance. Receipts from the General Accounting of the Republic of Cyprus for the purchase of the government bonds. Transfer of the deposit amount in a cyprus commercial bank. Confirmation as to the level and the time of the impairment of the deposits. In the case of deposits of companies in which the applicant is the ultimate beneficial owner, the Certificate of Registration of the Company by the Registrar of Companies and/or any other evidence is to be attached. Affidavit at the District Court that the applicant’s declarations in the application forms are true. Letter introducing the applicant, i.e. CV, small history of the applicant (residence history), family status (married, age of children if any), business activities of the applicant or his/her family in general, small description of assets worldwide, etc. * All documents which are not in Greek language must be formally translated and certified by a licensed translator. 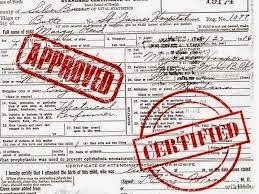 * All documents must be certified from an authorized person or a relevant authority. If the above documents need to be translated, translations should be made by P.I.O in Cyprus or the Embassy or Consulate or the related Government authority of the applicant’s country of origin. 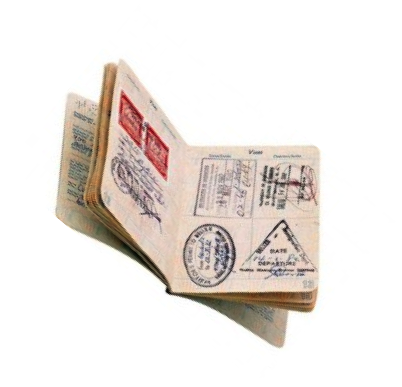 It is estimated that a period of 3 months is needed for the determination and issuance of EU Citizenship/Passport.